The blood vessels that give oxygen-rich blood to the tissues of the body are abnormally narrow (constricted); as a result, the main pump (left ventricle) of the heart has to pump the blood out with a much greater force (pressure). The force that the heart generates to pump the blood is measured as pressure. The pressure recorded in the upper arm is a close reflection of the pressure inside the heart. The higher the pressure, the harder the heart is working. When the heart empties into the blood vessels, it generates the highest pressure; this is called systolic (the time during which the heart empties) pressure. As the heart relaxes and begins to fill, this pressure is lower; this is called the diastolic (filling phase of the heart) pressure. Clinically, these 2 blood pressure measurements are relevant; one during the emptying phase (systolic) and the other during the filling phase (diastolic). 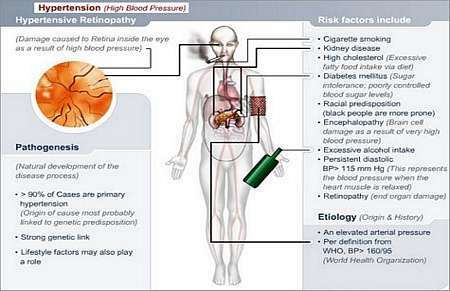 Blood pressure measurements are recorded in pressure units known as millimetres of mercury i.e. MmHg. A normal systolic BP is less than 140 mmHg and diastolic less than 90 mmHg. The BP readings are conventionally written as 140/90 mmHg i.e. 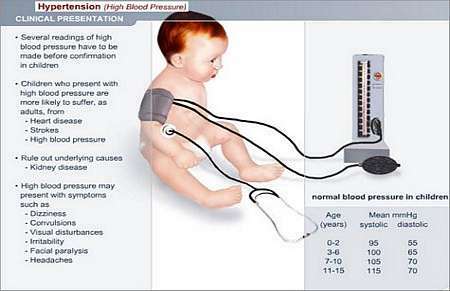 systolic BP/diastolic BP. 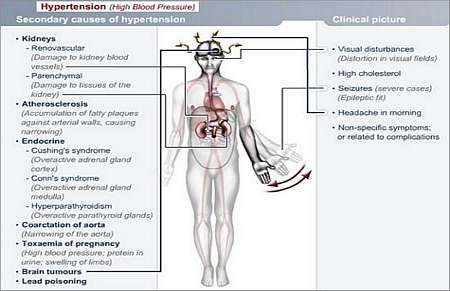 In about 95% of patients, the cause of hypertension is unknown and is referred to as essential hypertension; in the remainder, there are other causes for the hypertension (secondary hypertension); kidney disease accounts for most of this. Unfortunately, only 1-2% of cases are due to a potentially curable disease. Most often, patients are entirely without symptoms. It has been called the silent killer. 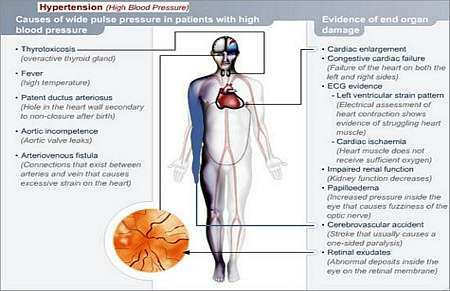 However, these symptoms are not diagnostic of hypertension as they often occur in patients without high blood pressure. Not infrequently, the BP becomes falsely elevated when the doctor measures the BP.